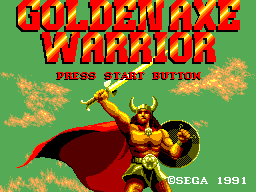 Golden Axe Warrior - Games - SMS Power! 42 CVG magazine "Complete Guide to Sega"
World peace is at stake! 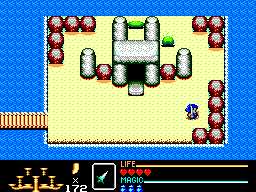 Death Adder, a wicked giant, has stolen the nine crystals from the kingdom of Firewood and has hidden them in nine labyrinths that he has created. 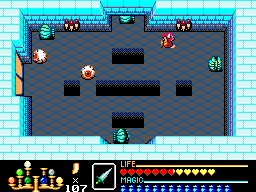 These nine magic crystals protected the people from evil – especially from Death Adder's grasp. But now that the crystals are lost, the world is defenseless! Someone must put an end to the fiend's realm of darkness, death and destruction! Do you have what it takes to bring back peace and happiness? Trek through deep, dark forests and sail across vast, stormy seas. 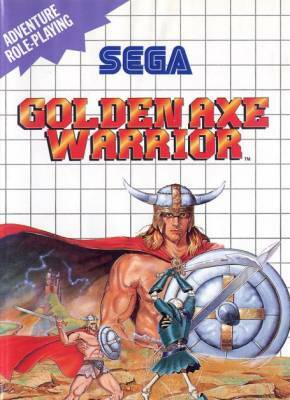 Chop down trees with your Battle Axe and move rocks with your magic spells to find secret caves. When you take on Death Adder's gruesome monsters, think only of winning – or else you won't find the nine crystals. 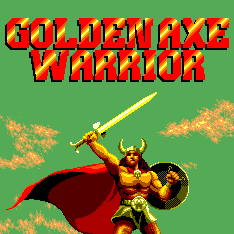 And when you do, you'll find the Golden Axe – the only weapon that can crush Death Adder!